Official Charging Partner of Automakers: Webasto is the ONLY official charging station provider of Ford, Nissan, Fiat, Kia, Hyundai, Mitsubishi, Volvo, and Chevrolet. Choose the company that has been vetted, tested and received the stamp of approval for your car. UL-Listed so you know it's safe : All EV charging companies are not the same. Don't risk buying a charger that does not meet current safety requirements. All of Webasto's chargers are UL-listed, meet strict safety standards and have undergone rigorous testing by automakers. Buy with confidence : You can trust Webasto's quality, experience, and testing to get you where you need to go. Portable, Reliable, On-the-Go Charging: - Quickly charge your EV up to 3x faster than with the standard cord set that came with your car. Dual voltage means you receive two chargers in one (120V & 240V). Enjoy the power of a Level 2 charger that fits in the palm of your hand. 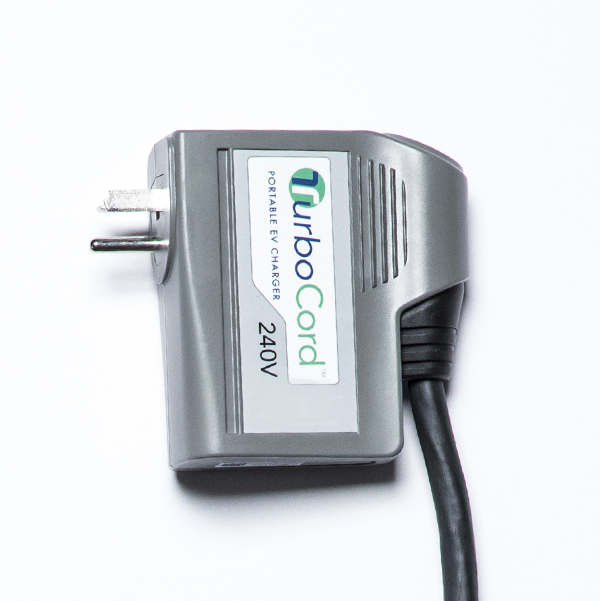 TurboCord is rugged and durable so you can reliably charge anywhere, even outdoors. Simple, Pain-Free Installation: Plug TurboCord Dual into a NEMA 6-20 outlet (installation required) for Level 2 charging or use the 120V adaptor in any standard outlet for Level 1 charging. TurboCord doesn’t require mounting and fits in a backpack while charging up to 3x faster. 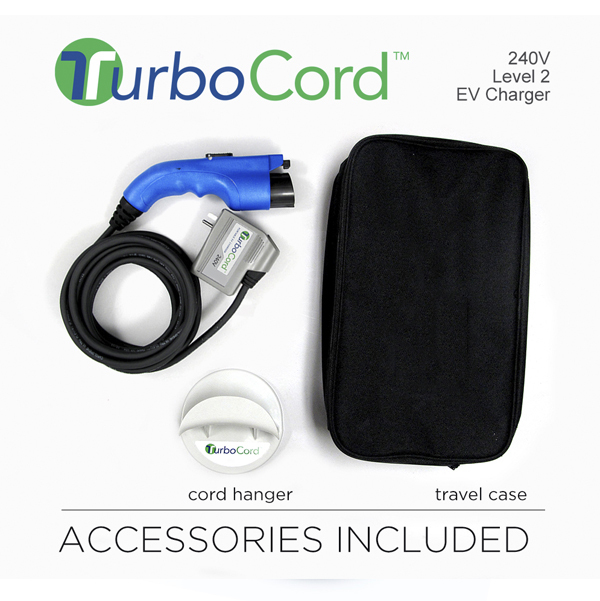 With TurboCord’s lightweight, durable 20ft cable, it’s at home charging on the road, or in your driveway. Installation costs are much lower than units that need to be hardwired directly into your home’s electrical system and mounted permanently on a wall. 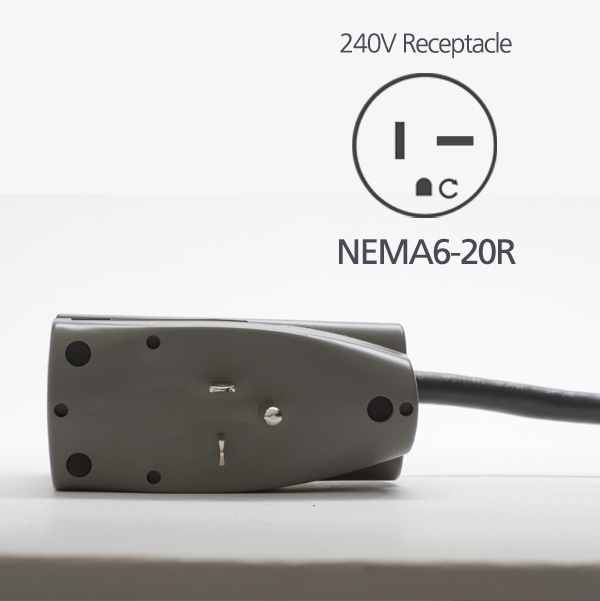 All you need is to install a NEMA 6-20 outlet. Safe & Reliable UL-listed and tested to meet the strict safety standards, including those of our automaker partners. Your computer, refrigerator, television and other household electronics are UL-listed – shouldn’t your charger be too? Plus, TurboCord can be used indoors or outdoors thanks to its industry-leading NEMA 6P rating. 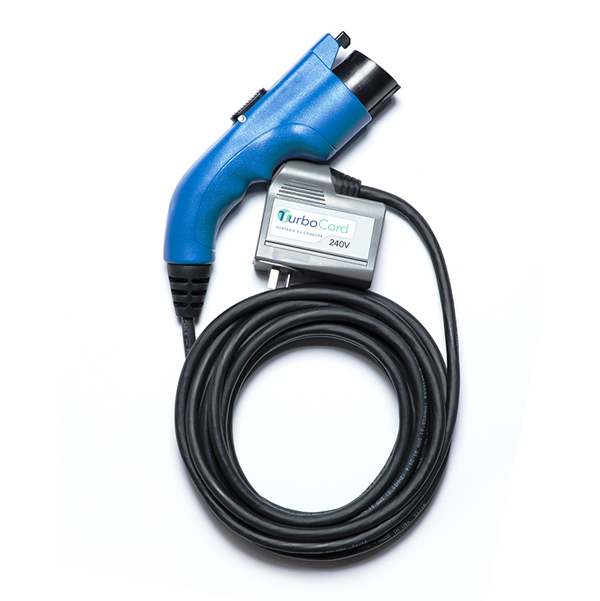 Innovation Webasto is a leading innovator in the electric vehicle charging market. We know what it takes to build long-lasting, safe, and high-quality equipment. Trusted Brand Webasto has become the intelligent choice for automakers and drivers, paving the way for a cleaner, more sustainable future. With the trust of Ford, Chevrolet, Nissan, Fiat, Volvo, Mitsubishi, Kia and Hyundai, we are a brand you can have confidence in. Support Webasto provides 24-hour call center support along with a 3-year warranty on parts and labor and a nationwide network of certified installation partners. What does this mean for you? We’re here for all of your installation, service, and support needs. 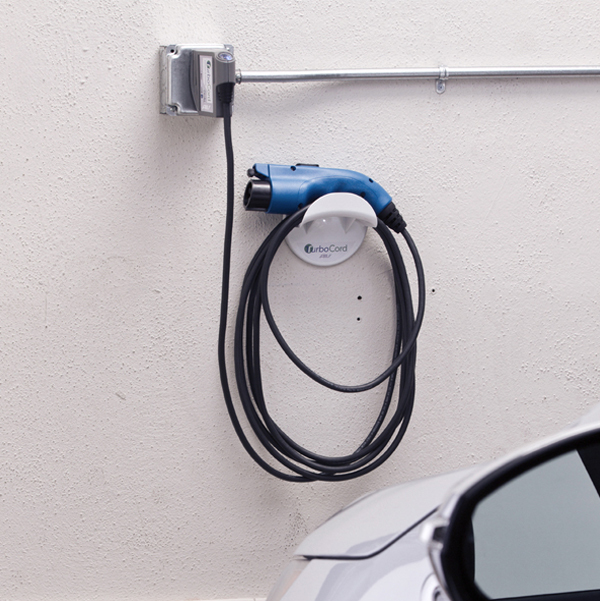 The TurboCord works with all production battery electric vehicles on the market today, including: Nissan Leaf, BMW i series, Chevrolet Bolt EV, Chevrolet Spark, Fiat 500e, Ford Focus Electric, Kia Soul EV, Hyundai Sonata Plug-In, Mercedes B-Class Electric Drive, Mitsubishi i-MiEV, Smart Electric Drive, Tesla Model S, Tesla Model X, Volkswagen e-Golf, Tesla Model 3 and more! From Anonymous of Chino, California on 3/3/2019 . Great, efficient, compact charging unit for on the go or everyday use in the garage. Greatly reduced my charging time and looks awesome while doing it. Highly recommended! From J. Hernandez of Riverside, California on 1/26/2019 . Turbocord, Level 2, car charger works as advertized. It is very handy. I had an electrician install the 240 volt plug. The turbocord plugs into that recepticle, I have a 2019 Pacifice Hybrid and it takes 3 hours, 45 minutes for a complete charge. From Anonymous of Englewood, Florida on 1/14/2019 . The product is exactly as advertised. All you have to do is plug it into a 220 line and let it do its job. The compact size is deceiving. It is small but does a great fob. GREAT PRODUCT!!! From a of Chatsworth, California on 8/11/2018 . The cord communicates with the car and shows when the charging is complete with a solid blue light. Most use of the TurboCord is away from home - at work where the EVSE-RS is the service equipment. I hope Webasto Group continues to support these AV products. From CRAIG FRYER of San Jose, California on 8/3/2018 .